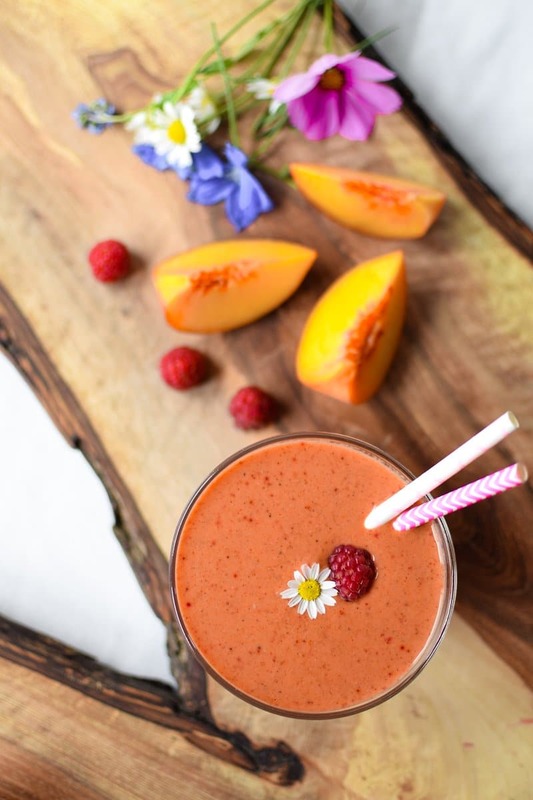 Nourish your body with summers most delicious fresh fruit in this vegan, gluten-free, easy to make Raspberry Peach Summer Glow Smoothie. If you follow me on Instagram, you know that I have a HUGE garden that provides my family anything from the leafy green Swiss-chard to gigantic pumpkins and everything delicious in-between. I am lucky enough to have a big beautiful 20+ year old raspberry patch that my husband brought back to life a few years ago. 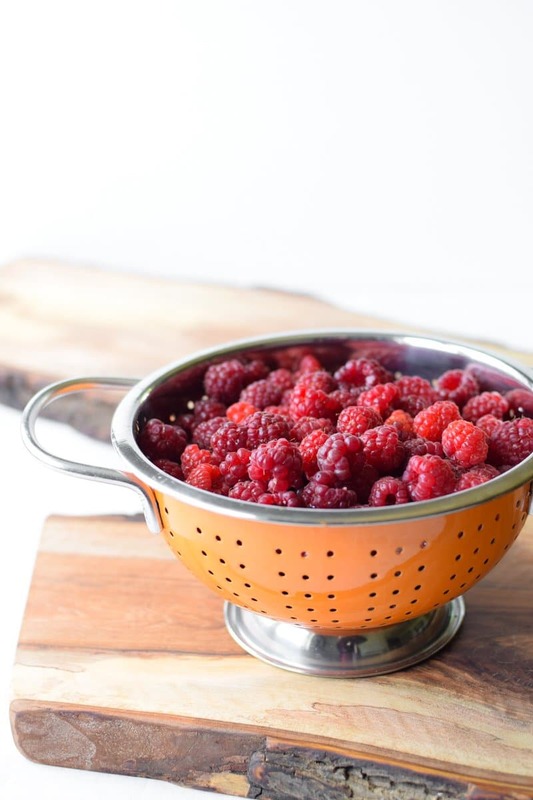 Our raspberries are an evergreen variety meaning that the will produce from early summer through late fall, making them fresh and available for at least three months of the year. Combined with fresh, juicy peaches from the farmers market, this smoothie makes me glow thinking about how delicious it really is. Do you find joy from the food that you eat? Or does food cause you stress and anxiety? 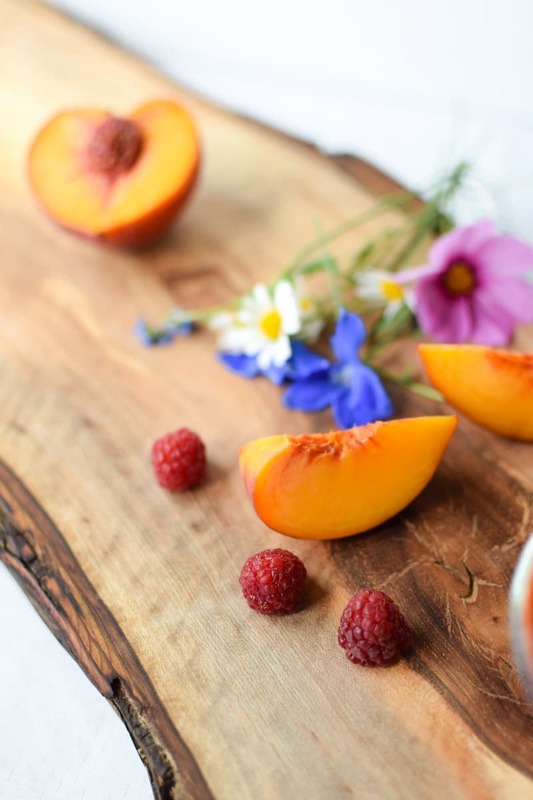 Did you come to this recipe because you love the taste of fresh peaches and raspberries? Or did you come to this recipe because I called it a ‘Summer Glow’ smoothie and you thought that may make you look better? 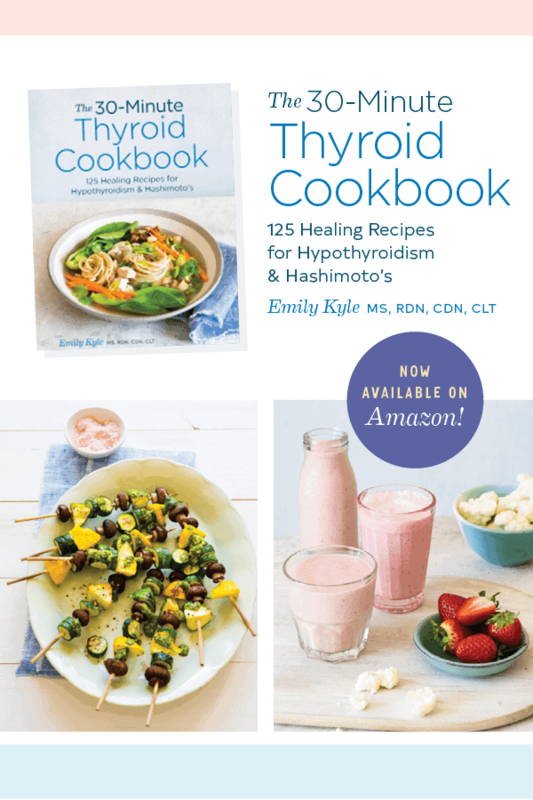 We are at a crossroads in the health and wellness space between traditional diet culture and the emergence of the anti-diet movement. New evidence comes out every day to prove that diets do not work, and in fact, keep us unhealthier and unhappier than ever before. But people are still clinging to this mindset because that is what we have been taught, what has been shoved down our throats for the at least thirty years. If you find yourself caught in the middle of this crossroad, you’re in exactly the right place. You see, as a non-diet dietitian, it is my passion and purpose to help you transition from a place of traditional diet culture to a place of intuitive, mindful, happy & healthy living. 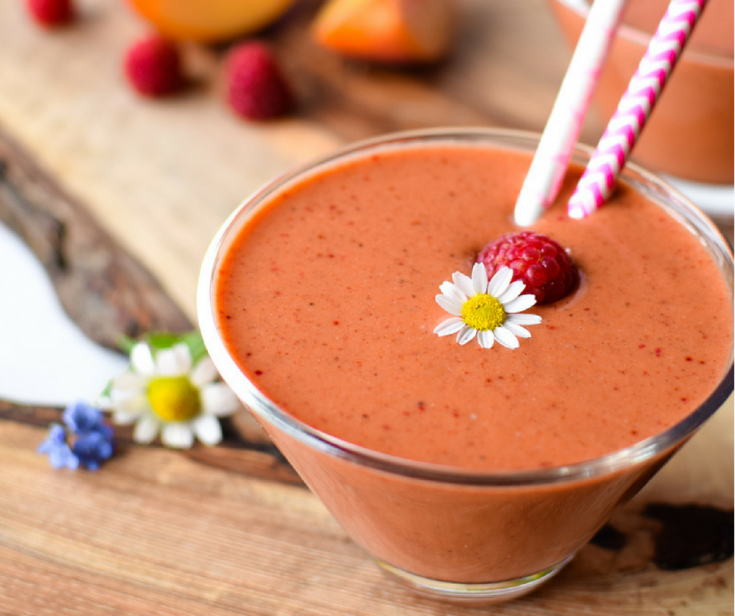 Traditional diet culture tells us that we should drink smoothies because they are ‘healthy’, low in calories, could help us ‘lose weight’, or give us a ‘summer glow’. 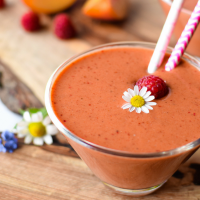 Intuitive and mindful eating tells us that we should only ever drink the smoothie if we love the taste, if it nourishes our body, and if that is what our mind and bodies crave and enjoy. How do we go from a place of a traditional diet culture mindset to a place of true health & happiness? Well, to be honest I can’t answer that question for you, that is a question only you can ask yourself to discover the answer. But I do want to help you. I honestly think that the development of a happy & healthy lifestyle starts with the meal-by-meal, day-by-day choices that we make. It is the small things that we do everyday consistently, that lead us to a greater change over time. You can start with how you enjoy this smoothie. You can start the practice of mindful eating and start to appreciate the way this smoothie makes you feel after you drink it. If you’re still having trouble learning how to transition from the mindset of traditional diet culture but are still seeking that place of true health & happiness, I invite you to learn more about The School of Health & Happiness. I founded The School to help people just like you learn how to discover what they need to do to create a happy & healthy lifestyle they love. Super easy, pour everything into a blender, mix and enjoy!